Here we are now? Entertain us? Yeah. There's some talk right now about how a Nirvana song is being used in a commercial for a baseball video game and how he would have hated that and that it has come about because Courtney Love recently sold 25% of the rights to Nirvana's songs. 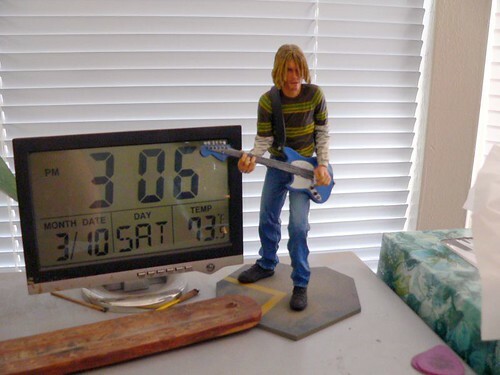 But then I saw this at my godson's place and realized that Cobain has been commercialized in other aspects as well, and long before Courtney sold that 25% of rights.